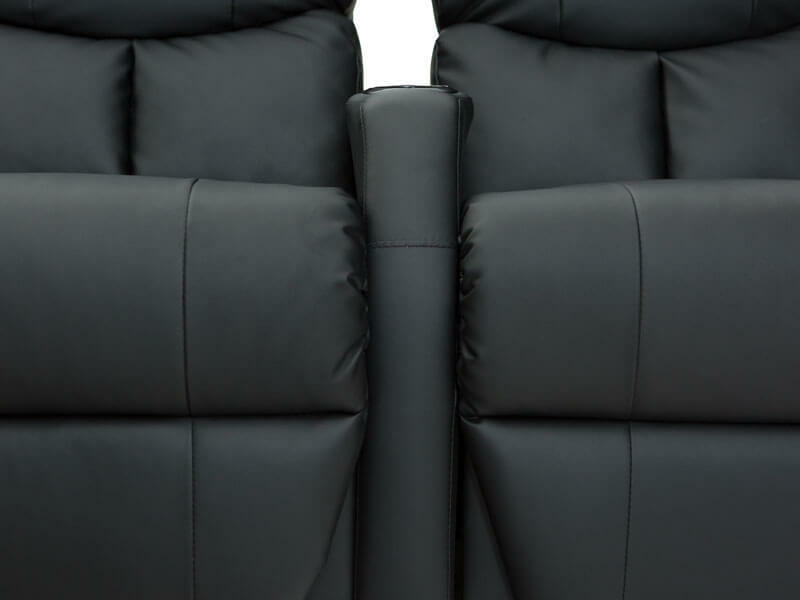 The Seatcraft 12006 home theater seat revels in ultra-plush seating, from its huge overstuffed headrests to an exceptionally padded backrest. The combination of these factors results in a seat that is pure heaven in concept and execution! The 12006's design is abetted by 100% genuine bonded leather, which was crafted to provide the look and feel of full-grain leather, at an amazing value. 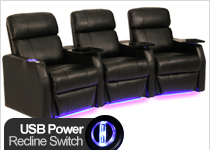 In addition, a smaller scaled armrest makes this seat a compact fit in any home theater room setup; this straight configuration lets you easily create your own flexible floor plan. 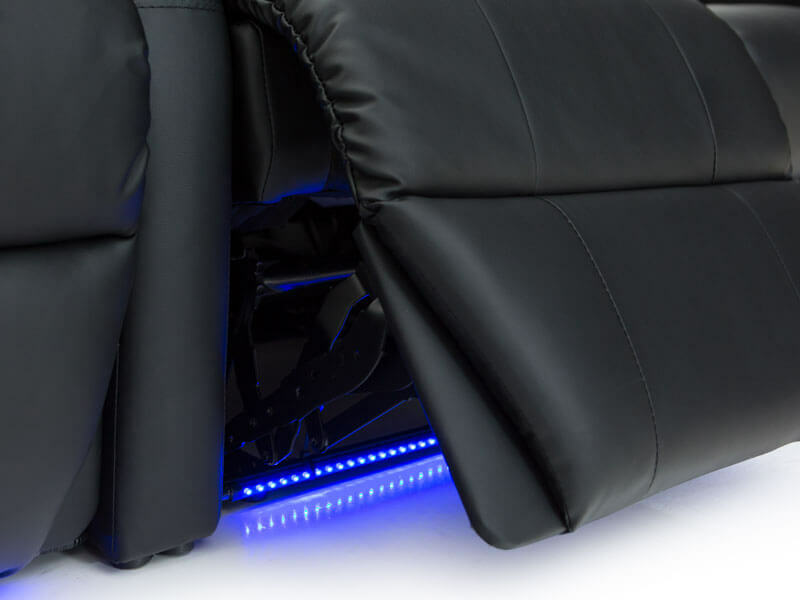 Chaiselounger footrests provide ample lower body support, so you can recline without interruption. 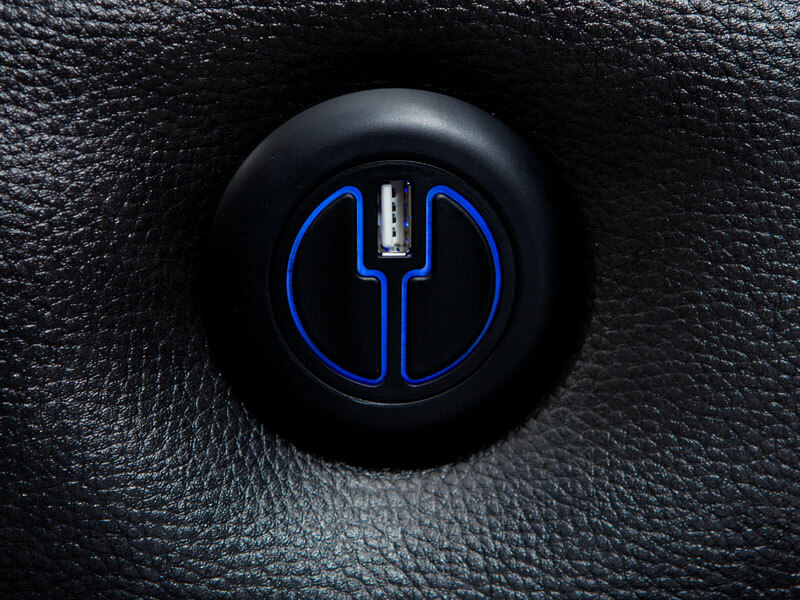 Ambient base lighting allows you to find your way in the dark with an inspiring, artistic azure accent. These features and more make the 12006 one of the most comfortable seats on the market: you are welcome to experience its pillowy comforts for yourself. 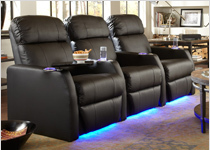 You can choose between these two home theater seating cupholder options: ABS Black Plastic, or Stainless Steel. They come included in each armrest and are large enough to fit all small and large common beverage sizes. They are constructed with durability in mind. They can be easily removed for cleaning as well! I ordered 7 recliners online and was taking a gamble without actually seeing the chairs in person first. The recliners were much better than expected. John is awesome and he fielded all of my customer service questions in a timely and professional manner. 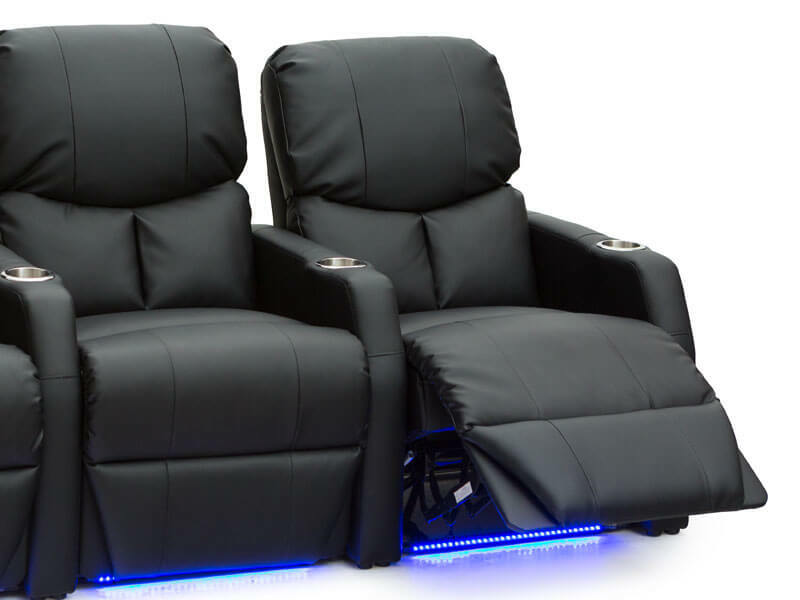 REVIEW: Did a lot of research and took a chance and ordered 7 of the Seatcraft 12006 recliners from 4seating.com. We cannot be more satisfied with not only the quality of the chairs, but the ease of how the chairs went together. REVIEW: We purchased 2/4 pieces of 12006 line considering the cost quite nice. 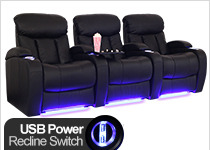 We bought a pair of connected theater seats and a love seat, power recliner no lighting. 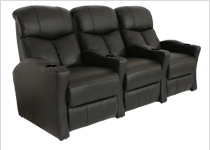 The quality seems great,the power recliners are quiet and sweet... quite comfortable. Time will tell on durability, but they seem solid. Service was super, went with curbside drop-off- be sure you are ready to move each very large box at over 100# when received-I was. 4 boxes, love seat & a pair. All good although missing a connecting bar for love seat- called 4seating , shipped out immediately- great service fix. The products don't come with instructions but no worries attach seat back plug in ...done. Shipping as advertised.